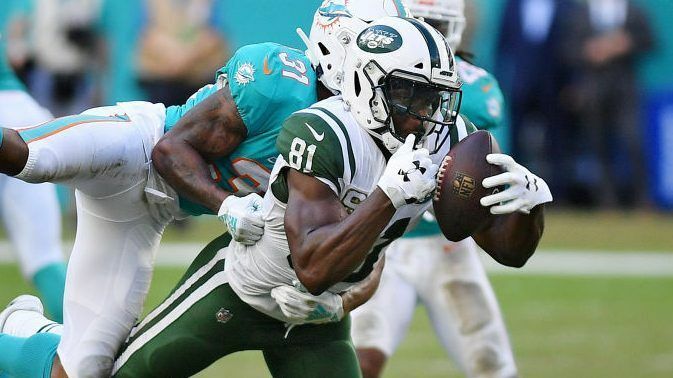 The Jets have initiated contract extension talks with wide receiver Quincy Enunwa, who has emerged as one of the team’s most reliable offensive pieces, Manish Mehta of the New York Daily News reports. Enunwa is the team leader in targets (55) and receptions (29) despite missing two games with a high ankle sprain. He trails Robby Anderson by one receiving yard (345) for the team lead. The 6-2, 225-pound Enunwa has shown no ill effects from neck surgery that sidelined him for all of last season. 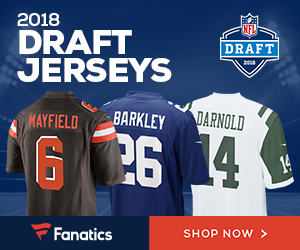 The versatile and tough run-after-the-catch threat has helped Darnold immensely in his rookie season. His leadership qualities prompted Todd Bowles to make him one of the five team captains. Enunwa had a breakout 2016 campaign with team-highs in receiving yards (857) and touchdowns (four) on 105 targets before his career was put on hold after a lingering neck issue that ultimately required surgery before the 2017 season. 1 Comment on "New York Jets Talking Contract Extension with Wide Out Quincy Enunwa"
Dude deserves an extension! He has been nothing but consistent and reliable for the New York Jets. He steps up big time, especially when their receiving core is running low. The Jets have been slammed with injuries at receiver the past few years. The best thing the New York Jets did was resign Quincy, he needs an extension now.